As direct-to-consumer business models become more popular, different industries are finding their own ways to make these kinds of experiences work for them. This has been especially true for the fashion industry. By cutting out markups, leveraging digital technologies, and promoting radical transparency, dozens of new fashion brands are succeeding with DTC. We’ve taken a look at the unique ways specific fashion verticals are taking their products straight to customers, and how they’re differentiating themselves from the legacy brands that came before them. Some products are timeless, but are the brands that sell them timeless enough to survive in the modern retailing world? 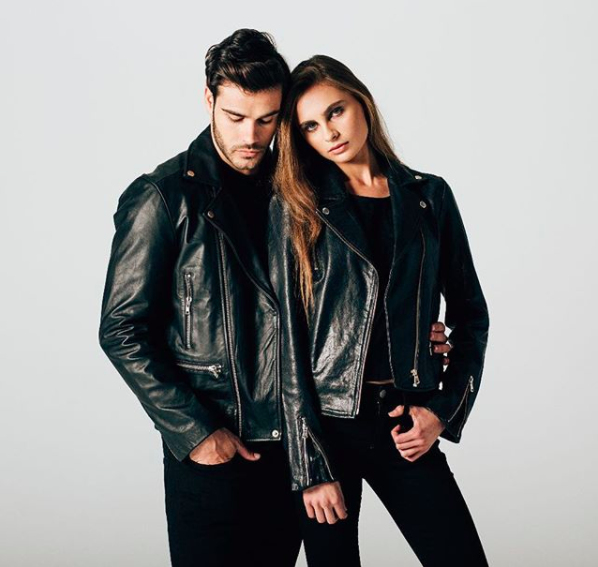 The traditional retail model means denim companies like 7 For All Mankind source their designs and fabrics from numerous designers and mills. They stock products their designers and buyers believe customers will like, but aren’t close enough to customers to bet on a handful of choice designs. Instead, like most retailers, they take a shotgun approach. Dozens of slightly different fabrics, cuts, and details make shopping for new jeans harrowing and downright consumer unfriendly. National retail outlets require huge warehouses and supply chains to keep locations stocked with all the varied styles, driving up costs for the end-buyer. 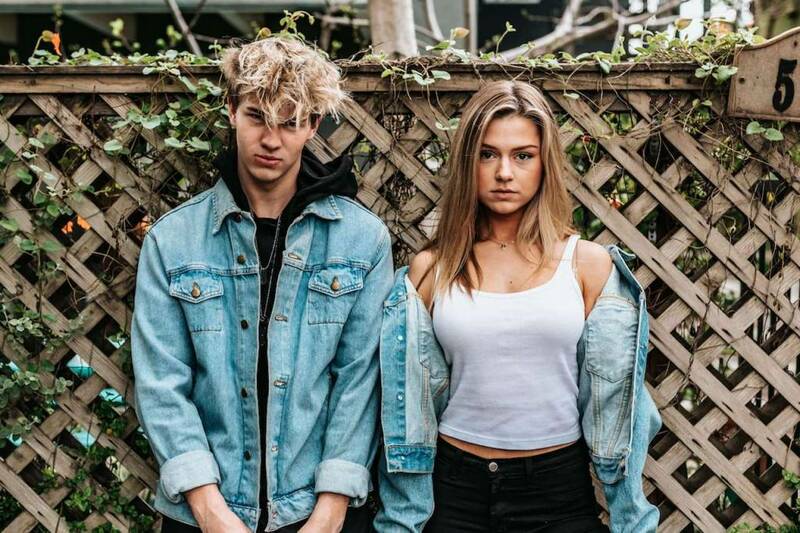 Younger luxury brand DSTLD sells premium denim and elevated basics direct to the consumer and is primarily online (with limited pop-up stores that let customers experience the brand in person). By selling direct, DSTLD is able to focus on quality rather than quantity. Their collection is easy to browse with a color palette of just black, white, grey, and blue. A reasonable price tag is a fair trade for a lesser-known brand name and limited retail stores—plus they use the same factories as many designer labels. DSTLD even allows true fans to invest in the company, ensuring that the brand will remain true to their customers as they grow—because they have direct financial control. 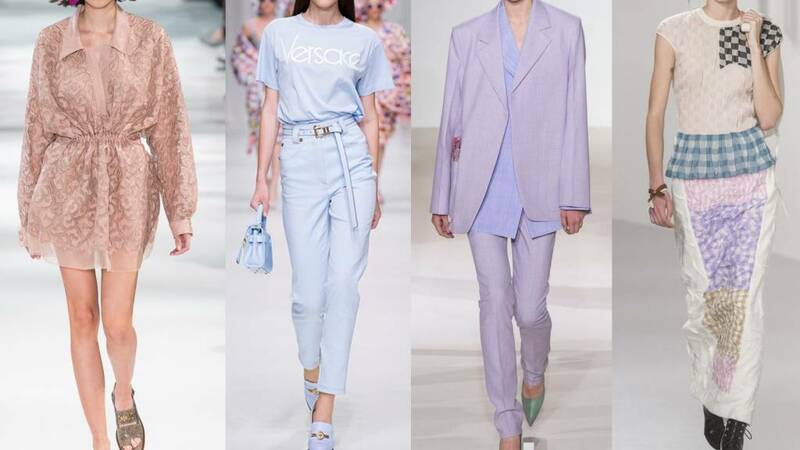 Focusing on a few good items done right at a fair price point is key to tapping into modern shopping trends, and encourages brand loyalty and repeat business by making clothes that become an essential part of customers’ wardrobes. Huge selections and hundreds of retail outlets are no longer likely to breed success. While the previous example focused on delivering a product, the new normal for retail also means fundamental changes in behavior. One of the biggest shifts: changing attitudes about ownership. Airbnb, Lyft, and WeWork all meet a desire to pay less in exchange for giving up sole possession. Why own a car when it’s so convenient to ride in someone else’s? Why stay in a hotel when you can stay in someone’s house for less? Rent the Runway provides a similar solution for your wardrobe. Why buy a new dress for every one of your friends’ weddings when you can rent one for a tenth of the cost? With Rent the Runway, customers can get the same high-quality designer clothing, but without having to own it forever. If you don’t want to show up to every wedding of the season in the same thing, renting just makes more sense, and allows customers more choice and flexibility—they can get a much more expensive piece without worrying about the price tag. RTR’s direct-to-consumer model adds value that a department store like Macy’s just can’t without majorly restructuring some of their current practices. 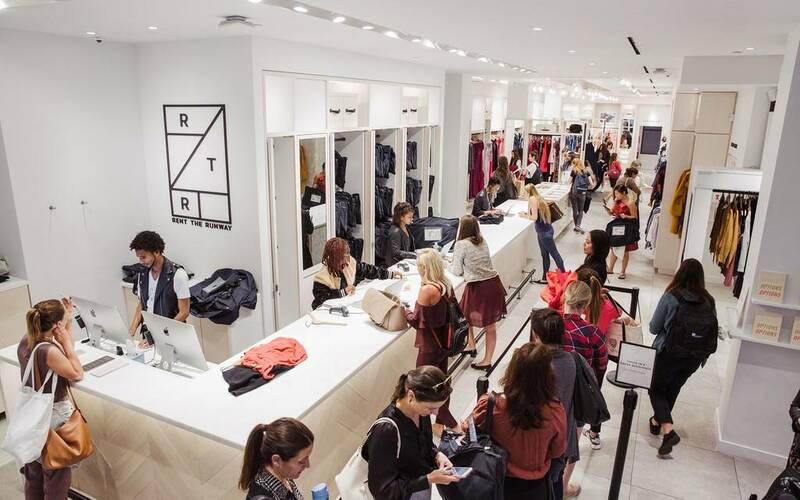 Without the costly overhead of hundreds of national storefronts, RTR can deliver and scale a new kind of in-store experience without orienting their entire business around it. Millennial consumers don’t feel the stigma of pre-owned items like previous generations. They’re more likely to embraced pre-owned fashion due to its sustainability (and lower cost), leading to a robust market for secondhand goods. New sites like Grailed, theRealReal, and TrueFacet are filling the gaps left between the small, independent, highly-curated boutiques offering clothes and furniture in most major cities. However, Material World offers a service that goes a step further than any of these. Material World will pay customers for their pre-owned designer clothing up front—making it easy to trade in your lightly-worn items for hard cash. Yet this is just one piece of a bigger system. The Material Box is a subscription service that ships an outfit handpicked by a stylist every month straight to your door. You’re not just getting a sustainable, designer outfit for a fraction of the price, you’re getting unique and totally personalized styling services. The stylist who works with them knows the entire history of their purchases and interactions, meaning they can provide deep and contextual service. That’s a benefit you won’t find at even the most upscale boutique. The box can then be used to send back their own clothing, replenishing their old pre-owned clothes with new ones. Material World supports an ethical system that diminishes waste and elevates the benefits of pre-owned clothing, creating an experience that’s even more appealing and streamlined than buying a designer outfit for yourself. If you can do that, you’re sure to delight your customers and improve their experience. Learn some more aspects of the DTC approach that can help you deliver better service in our whitepaper.